NOTE: Only the Subscriber (the person who signed up) or User license with Admin User Group can complete the steps in this article. Managing your workforce in Loc8 may include day-to-day operational tasks such as ensuring your technicians are connected through the Loc8 Mobile app, board and e assigned with the right job at the right time, reviewing their work log, ensuring the workforce list is up-to-date by adding or removing staff and contractors, and keeping their licenses updated if their roles change. 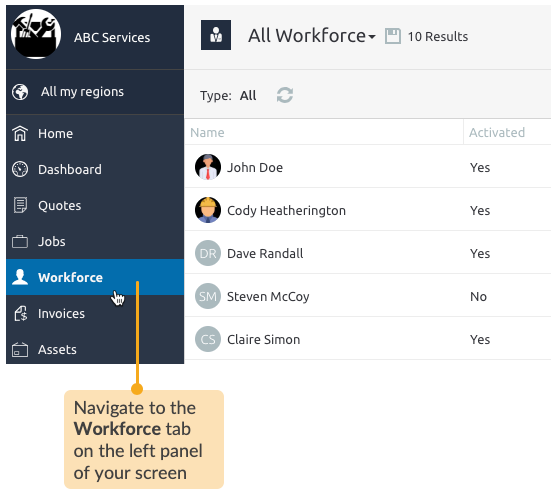 To learn more about the different types of user licenses, read Introduction to Workforce. Ensure that your staff and contractors have been added in Loc8, as mentioned in the articles Invite Staff to Loc8. Go to the Workforce page. 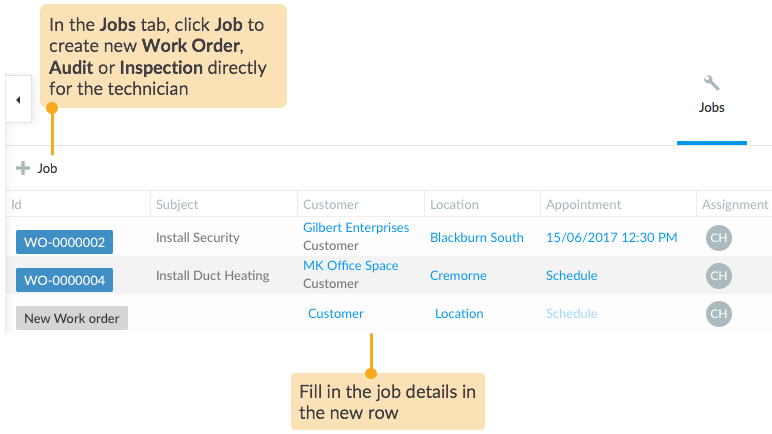 You'll find all of the people added to Loc8 till date, including your staff and contractors under the appropriate license and user groups with which they were added. 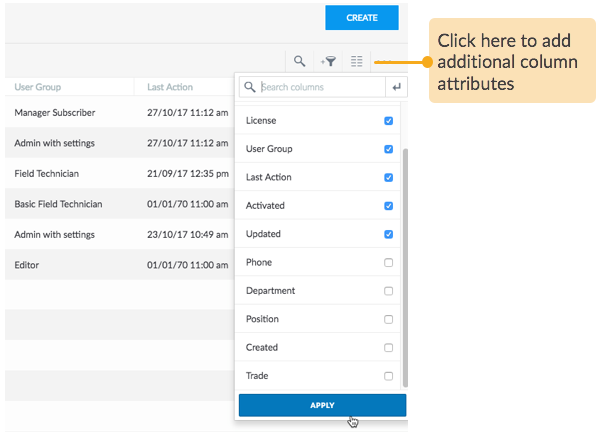 Get more data about each member on this page by selecting a list of additional attributes defined in their profile, for example their position, trade, department, last action performed etc. Select those attributes from the Additional Columns icon and see them side-by-side with default columns. Apply the Type filter to narrow down the types of users you are viewing. If you are often using one or a combination of filters, you can set the view as quick view to easily access it the next time. For more information, please see Smart views through Sort, Filter, and Search. Select a user to view user profile and make changes if required. 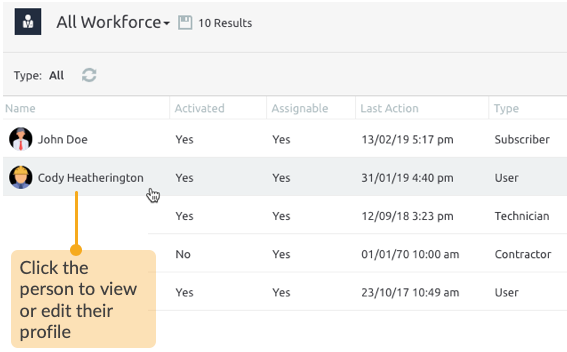 You can edit the profile details, remove them from your workforce user, besides being able to perform the following actions directly from the inspector as explained in the sections below. 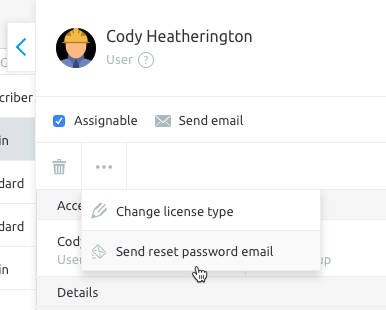 Any person added to Loc8 with User, Technician and Contractor license with Portal Admin access will receive the activation email automatically from Loc8, which the person must click to join the team in Loc8. 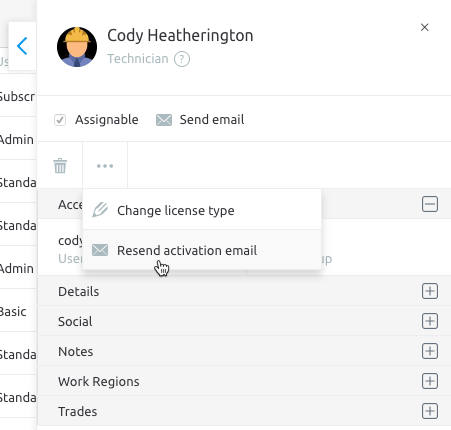 In case the person misses out the automatic account activation email from Loc8 the first time, you can resend the email to that person with a click. You can assist your team member when they are unable to access their login account by sending out a password reset email. Open a team member's profile and navigate to the Jobs tab. This is where you can create jobs for that person. 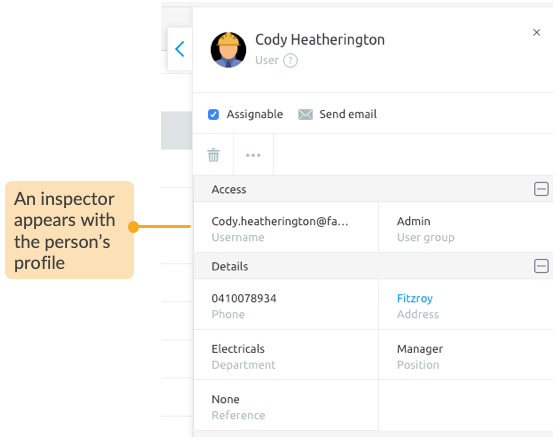 As soon as you create job from that person's profile, the job is automatically assigned to that person. 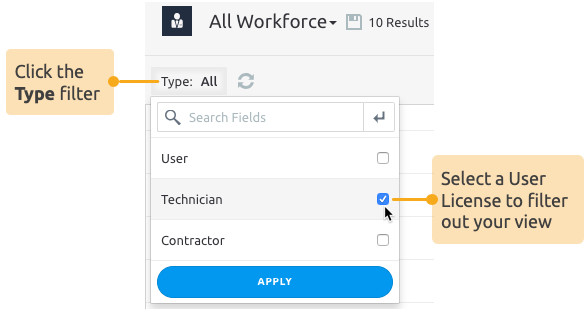 You can create jobs for team members under the Technician and Contractor user license, as well as those under User with the Assignable option enabled. 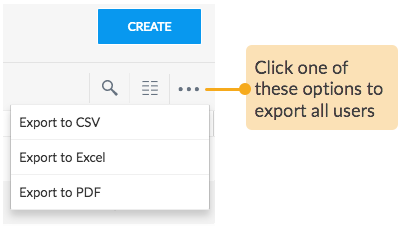 With just a click, you can pull out all the users created till date and transfer them to a document, in PDF, CSV or Excel format. 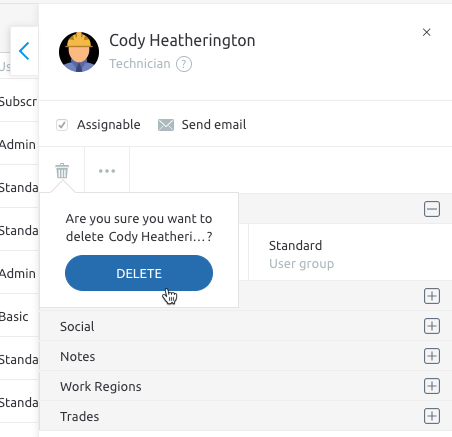 People no longer working for your company can be deleted, without affecting any field logs or history recorded against their existing jobs and appointments. However, they will be removed from any upcoming jobs and appointments.